I am in love with all things Lawn Fawn and this stamp set is no exception. I wanted to make a pattern-like paper from all these stamps so I stamped all the images with the London Fog ink to give it a light background effect. 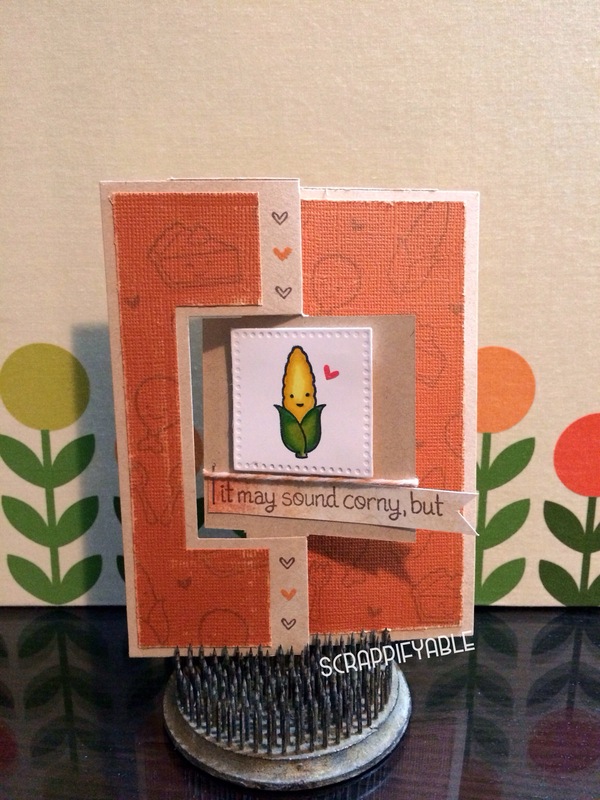 Once I finished I cut it with the die cuts which made this card so easy to make. The die cuts give you the base and the each side of the card plus die cut templates for the middle section. I colored my focal image and mounted it with foam squares to add dimension to my card. I grabbed a scrap piece of paper and stamped my saying…following with another saying for the flip side of the card. I then finished the card by tying a bit of twine & slightly distressing the edges.